Back in August we were loaned 3 Dorper Ewes to practice herding. Their owner referred to them as "cheap sheep" so if anything happened to them they wouldn't be too expensive for us to replace. We also assumed that they are older ewes. 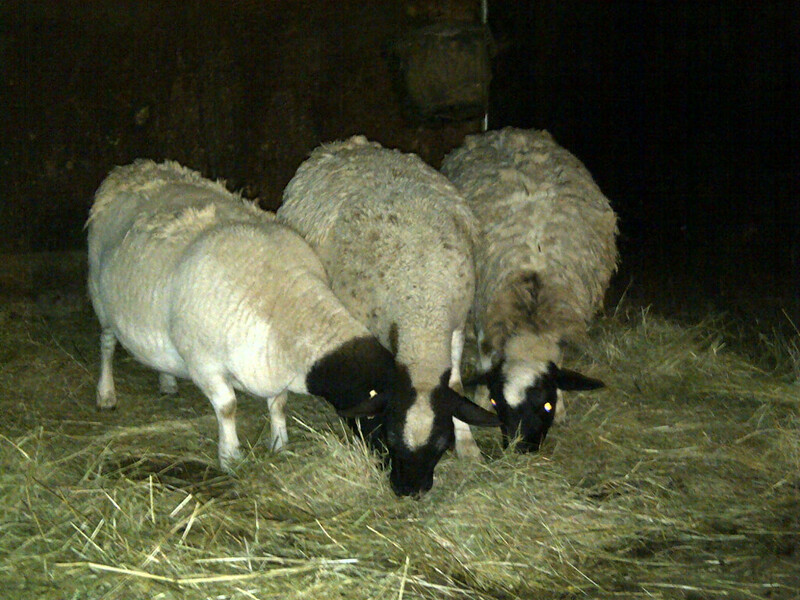 These sheep have been wonderful for working Minnie and Zoe on. We have been using them off and on since we brought them home. Minnie loves herding and loves being able to work the sheep. We now believe Minnie had a secret Christmas wish of more sheep. 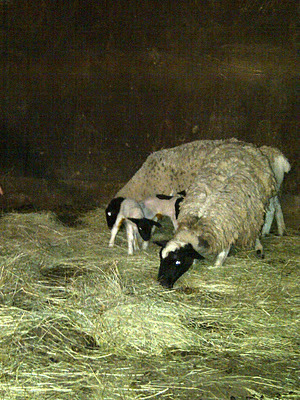 Well she must have been a VERY good girl because on Christmas Eve morning, 2 hours after doing chores, Glenn looked out to see that one the ewes had 8 extra legs. 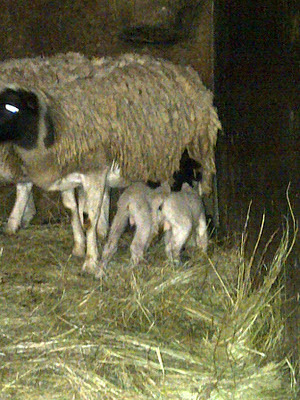 That's right she gave birth to 2 ram lambs. We had no idea that she had been bred before coming to our house. Mom and babies are doing great. 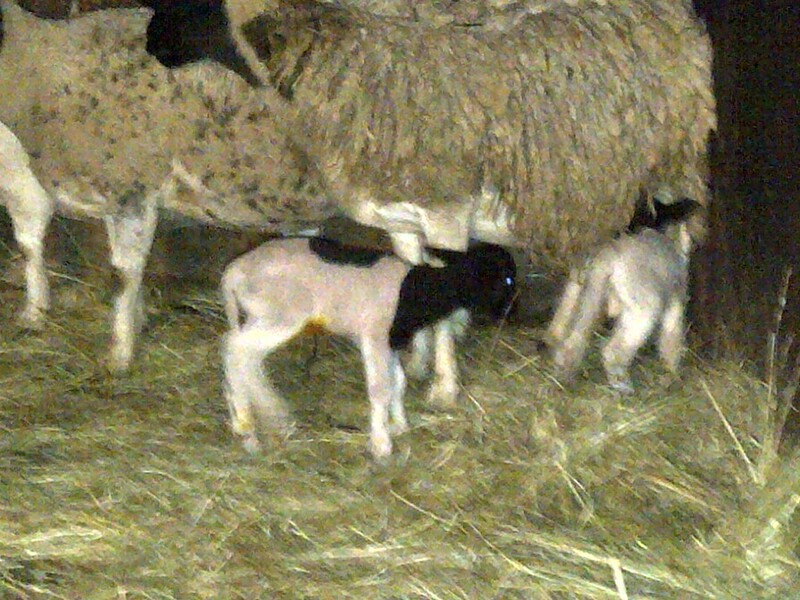 We have named them Dasher and Dancer in honor of the holiday season. This is Dasher, he has a black down his neck and a black spot on his back. Dancer on the left, Dasher on the right. The above photos were take yesterday. 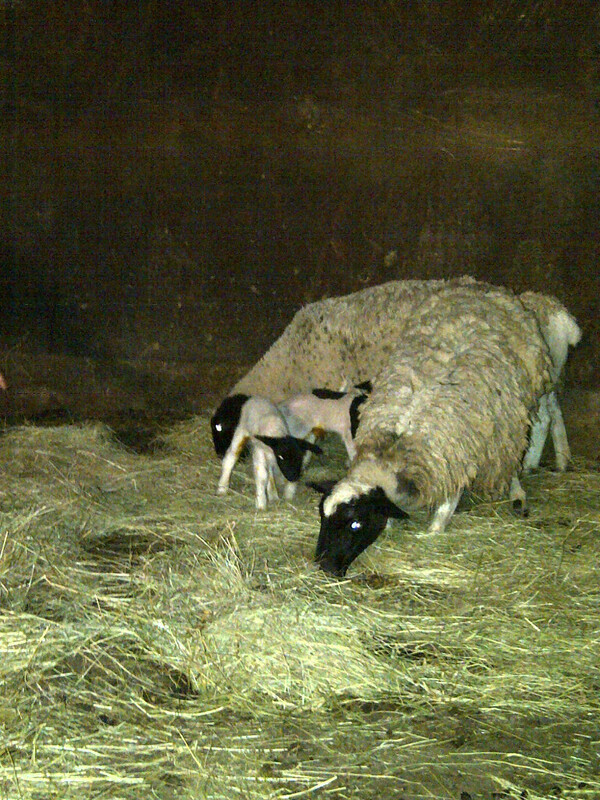 Today the weather turned to cloudy and threatening to rain so we moved the ewes and lambs into the barn. 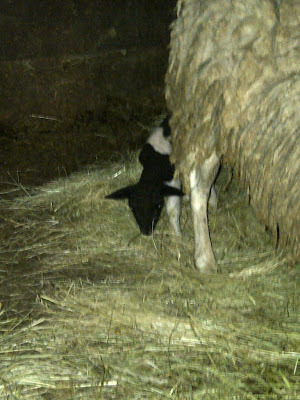 Yesterday we also noticed that a 2nd ewe has developed and udder. I looked at her again today and she looks like she could go anytime now (keep in mind I'm not a sheep expert). Here are some photos taken with my phone in the barn. 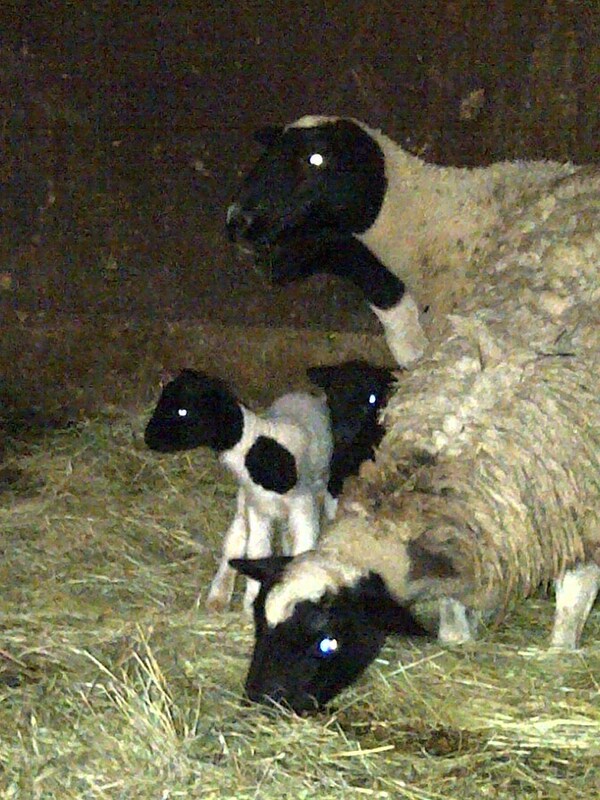 Here are the three ewes. The one in the middle is the one who just lambed. 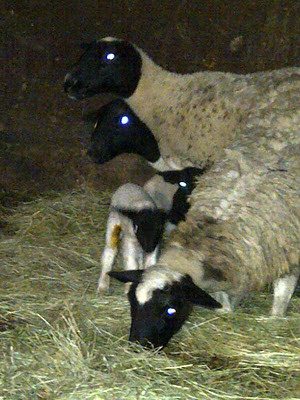 The spotted one on the left is the one that is bagged up and I believe will lamb soon. 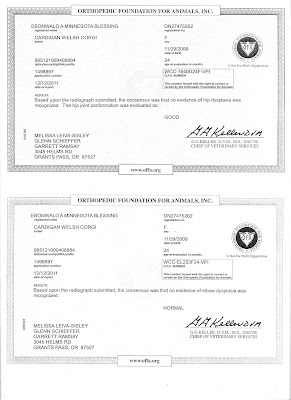 Then we have the one on the left. After spending some time looking at her, we also believe that she is bred and will be lambing in the next couple of weeks! Wow, the girls and I received so many wonderful things from our Cardi Claus, Krystal Durre and The 7 Dwarfs. Here is a shot of all the wonderful things that were included. There are some wonderful treats, a couple stuffed toys, a leash holder, scarfs, mix to make to more treats, a pin, and of course an ornament. Here is another shot of all the items. The treats were made by Krystal herself. The treat mix and scarfs were made by MacroniMade on Etsy. This wonderful pin cardi/sheepy pin made by Emily of DreamEyce. Our lovely ornament which is painted to look like Zoe. Here is Minnie showing off her scarf. Then she noticed Rudolf and decided she must have him! Meanwhile Zoe was hoping her new trick would earn her more treats. But then Zoe noticed Minnie and Rudolf and had to investigate. So Minnie decided to play with alligator instead. Zoe continued to chew on Rudolf, but ended up dropping him. Minnie then reclaimed him and took him to be with the alligator under her watchful eye. In other news we got Minnie's OFA results back. I believe you can click on the picture for a larger image, but it states her elbows are normal and her hips have been rated as Good. It's been a great week for us! Today we went over to visit Carolyn and Tom at C-Myste. Since Minnie turned 2 on the 29th of November we decided she needed some new photos, her last stacked one's being taken when she was a year old. She still has a bit of wave to her coat, but I figure not bad for using my personal hair dryer. HUGE thanks to Tom for taking the pictures and to Carolyn for baiting and stacking her. It wasn't an easy task as Minnie was sure she was supposed to sit and not stand. "Are you sure you don't want me to sit?" She's sure Tom has something tasty for her. Afterwards it was time to learn a new trick. Zoe got to come as well. She hadn't been to Carolyn's since Minnie was conceived. She just helped herself like she was just there yesterday. Minnie say's sometimes after all that seriousness, you just need to be a goof! We spent this weekend at the show in Richland, WA. We all had a great time. We saw a lot of great dogs. Minnie and Zoe had a mini family reunion. Her brother Pip (formally known as Almo) and his owners stopped by. It was nice to meet him. Tom took pictures of the girls with Pip and Huxley. Looking forward to see how those turned out. Minnie was also entered in Rally Advance while we there. She already had one leg and we were hoping to get 2 more to complete her title. She did it. She qualified both days taking 2nd place on Saturday and 3rd place on Sunday. We are just so proud of the progress Minnie has made. 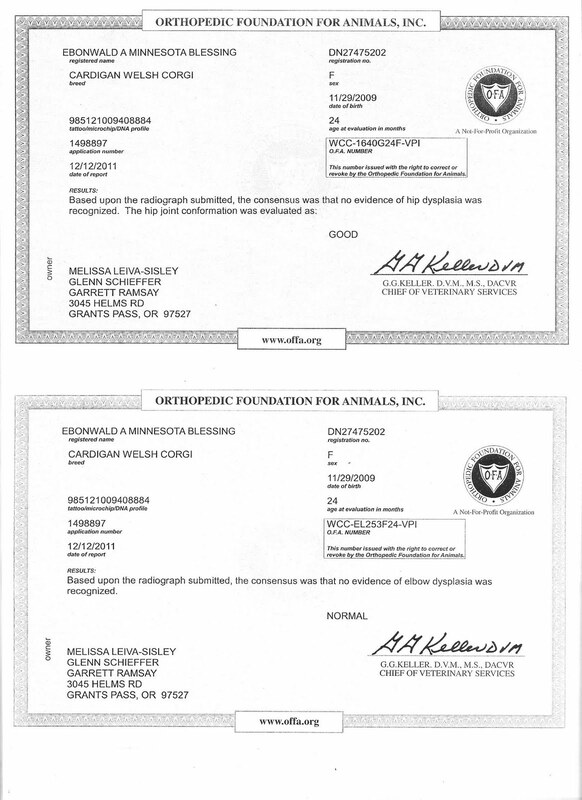 We are thinking we will continue on and work on getting her RE. On our way home we stopped in Clackamas and had Minnie's CERF exam done. I'm happy to report that the results were Normal. Zoe is doing well. I'm thinking about taking some obedience classes with her this winter. She's come a long ways, but there is still a ways to go. 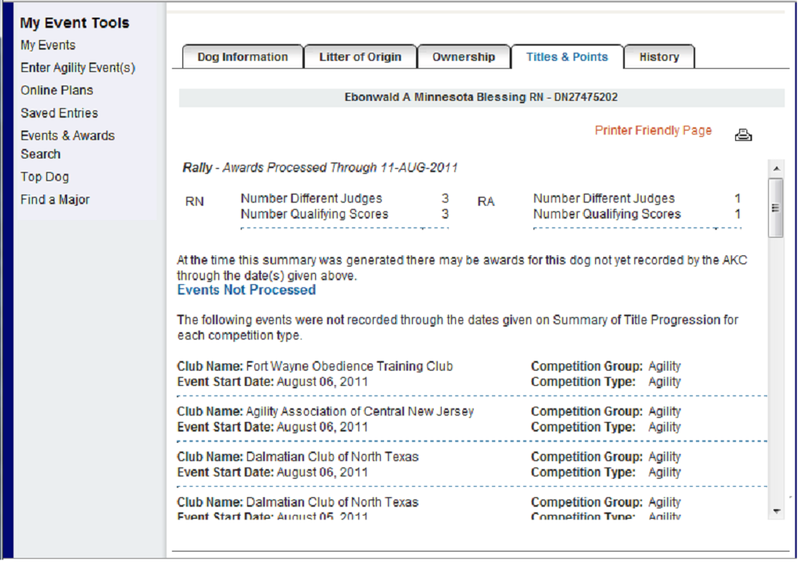 We are also considering starting both girls in Agility classes this winter as well. Minnie and Zoe had a very full weekend of herding. We competed in the Snowy Butte ASC Harvest Fair Trial. 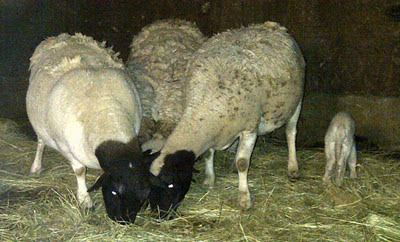 Both girl were entered in all three Started Sheep Trials. Saturday morning was very successful for them both. They both earned qualifying scores. Zoe's time was 1:55 and Minnie's was 2:13. The were running ASCA course B.
I didn't get video of the girls second run. It was late and my camera doesn't do well with video in low light. They were doing course B again under a different judge. 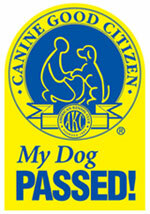 Minnie earned her second qualifying score earning her (pending ASCA approval) her STDs. Zoe missed qualifying by one point. Sunday morning Zoe had another chance to earn her second leg. They were running course E which is a harder course. She sure tried! She missed qualifying this time by a mere 1/2 point. If it was time based her run of 1:38 would have won. Glenn sure got his exercise this weekend. :) Here is the video of that run. We had a lot fun this weekend. We are looking forward to more in the future. One of Minnie's cousin came and watched her. The cousin was very interested, maybe she and her Mom will join in on the fun sometime soon? 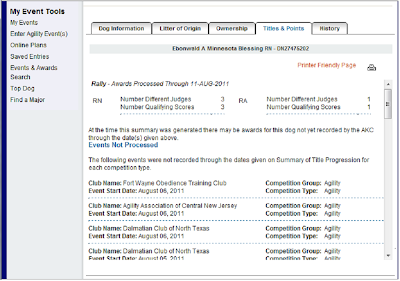 :) In the meantime Minnie is entered in Richland this weekend in Rally Advanced. For those of you going, see ya there. I have been working this month off and on, around my graveyard schedule, with Zoe. We've been working on heeling (now that she's not handler dependant when herding) sit, down and stay. I have learned while Zoe comes off as a "blond" she's really not. She's more the "what's in it for me" type. "Oh you have a treat, ok I'll sit." and then there's "Wait no treat? I'm not sure I know this sit word you speak of." In all fairness she has improved greatly, but isn't a 100% with her response. I'd say we get sit about 80-90% of the time. She seems to have stay for the most part. I'm also very pleased with her come. Down is whole different story. Her downs are not pretty, treat or no treat. She is also very inconsistent with them. This being said we decided to try for her CGC. I was confident that she should pass almost all elements of the test. She heels decently, doesn't have a problems with distractions or crowds, and anyone who knows Zoe, knows she's never met a stranger. :) The only thing I was unsure about was the down. I decided that it would be a good experience and if she failed, no big deal it was only $10. I am so proud of her!!!! It will be awhile before she's ready for the rally ring. I think this winter we will take some obedience classes and get things consistent and fine tuned. In the meantime we still have 2 full weekends ahead of us. This weekend both Minnie and Zoe are entered in a local ASCA herding trial. They will doing Started on Sheep. 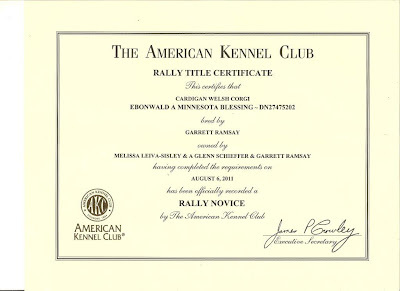 If they are successful they have the chance to complete their ASCA Started Dog title here.